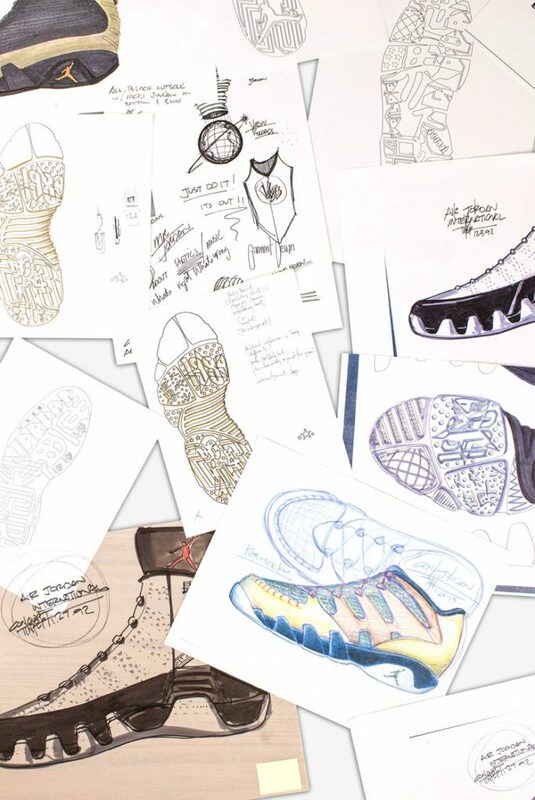 As far as iconic shoes go, the Air Jordan IX has always been somewhat of an enigma. For one thing, it was the first Air Jordan sneaker Michael didn’t wear in an NBA game during his time with the Chicago Bulls. The shoe released after Jordan first retired from the NBA in 1993, fresh off his 3rd straight championship. 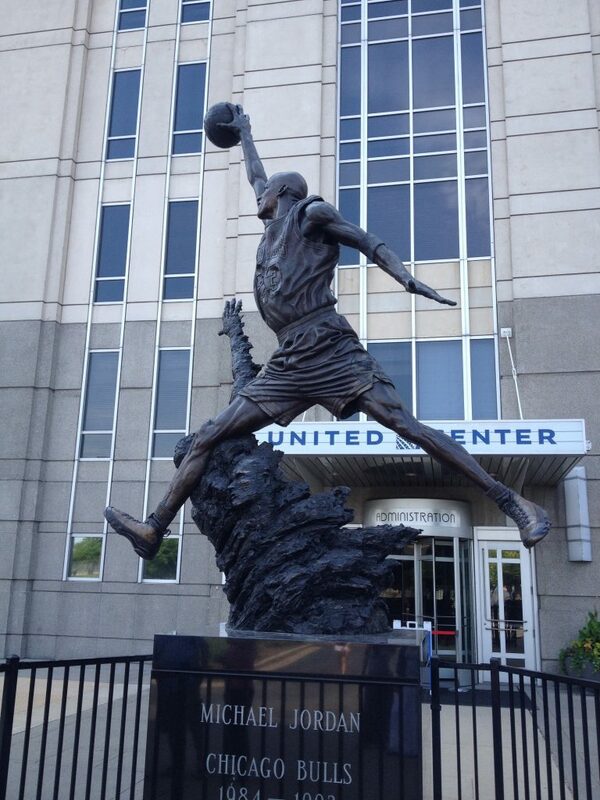 Following Jordan’s retirement, the Bulls erected a 19-foot statue of him in front of their new arena. Unveiled on November 1st, 1994, Jordan could be seen flying through the air over two helpless defenders. On his feet, sculpted in bronze, were not any of the famous models he wore on court – instead, the artist opted for the IXs. Though he never wore them on the court with the Bulls, Jordan would lace up the IXs on the baseball field with the Chicago White Sox minor league affiliates. 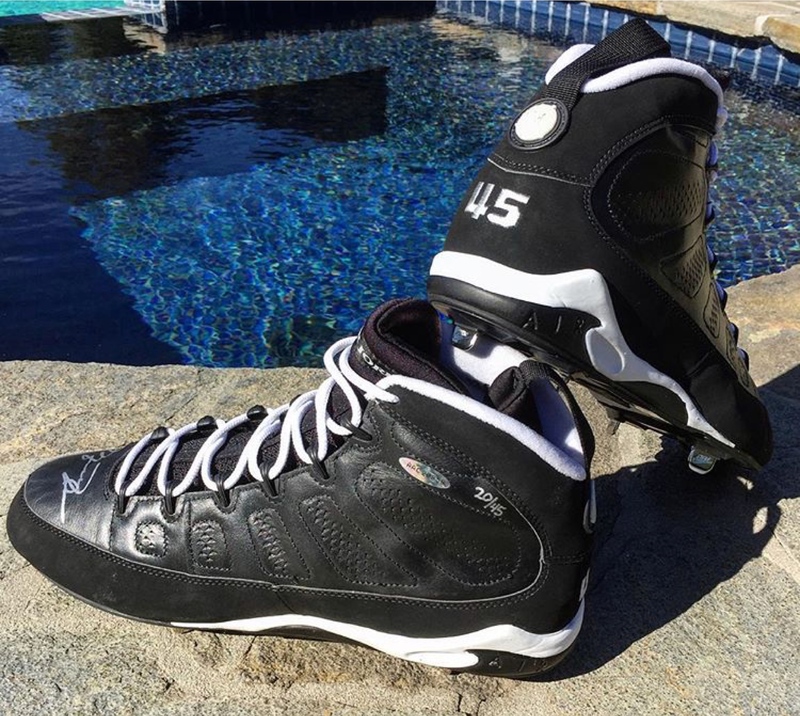 Sporting a black and white colorway with the number 45 on the heel, he would wear this model for the majority of his brief one-year stint in the minors. While the IX was not directly tied to a Warner Bros commercial series like the Air Jordan VIIs and VIIIs, the IX would appear in a Warner Bros movie. The summer after Jordan returned to the NBA in ‘95, he filmed the movie Space Jam, and broke out the IXs in a few scenes before switching to the more famous XIs. 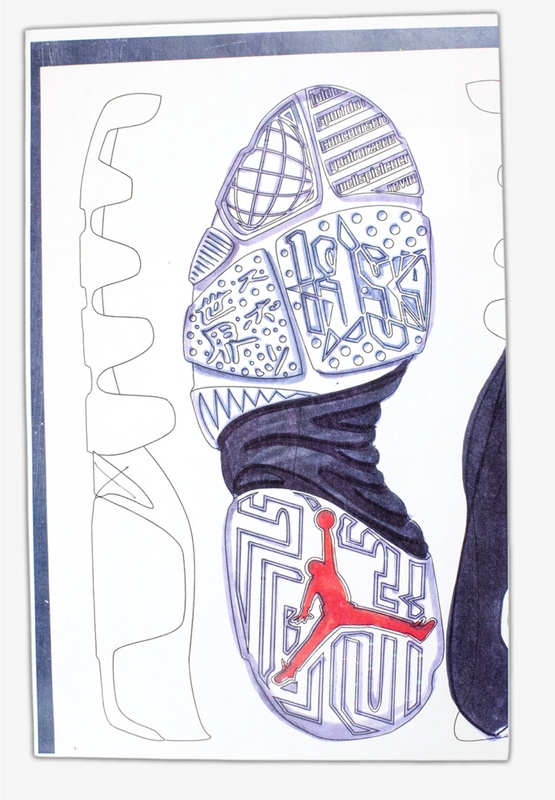 When the IX was designed, it was meant to represent Jordan’s global impact on the game of basketball. There were inspirational words in several languages engraved into the bottom of the soles, and a literal globe stitched onto the heel. But, while the global sneaker sat in stores, Jordan was sitting on a minor league team bus traveling from one small southern town to the next. While the sneaker was in the spotlight, Jordan was far away from it. For these reasons, the IX will never be one of the most-coveted Jordans, but it remains a shoe that is rich in history and marks a transitional period for Michael and the Jordan brand.